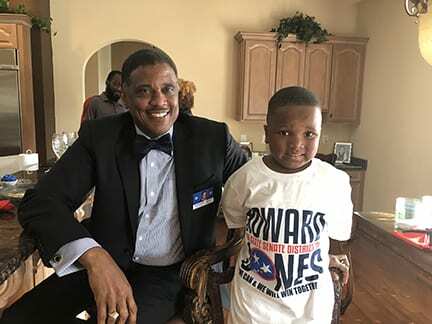 Canndidate Howard Jones with little Terry Johnson. 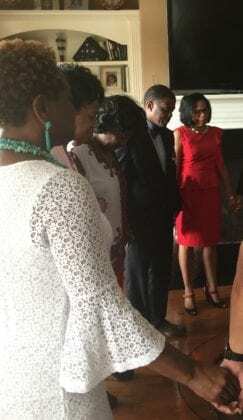 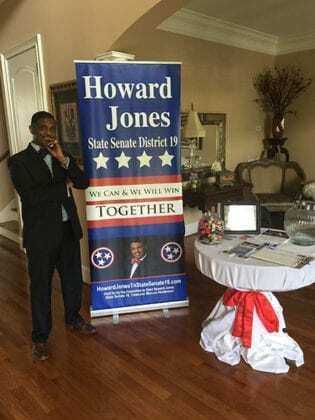 NASHVILLE, TN — A reception like no other, was held at the home of Dr. Cherae Farmer Dixon, supporting Pastor Howard Jones in his bid for State Senate, District 19 in Davidson County. 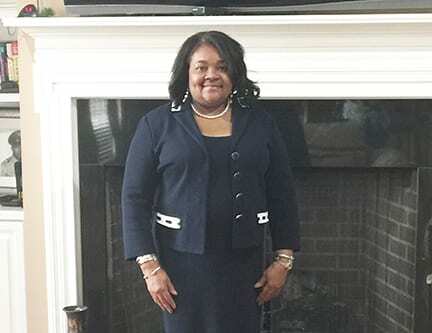 Her beautiful home was full of people from all walks of life interested in the district and how the quality of life can be improved from education to economic empowerment to criminal justice reform and employment. Candidate Jones stands boldly by the pull-up advocating his candidancy. 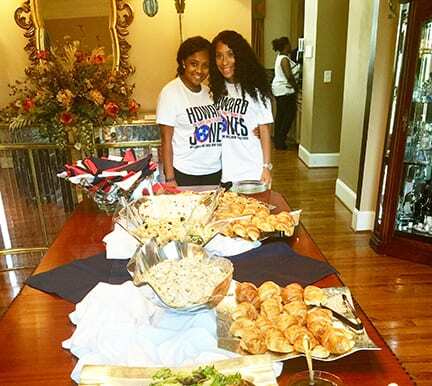 Tyler Dixon and Taylor Journigan admiring the table setting. Minister Toni Moore stands next to Candidate Jones in prayer circle to uplift, inspire and encourage. 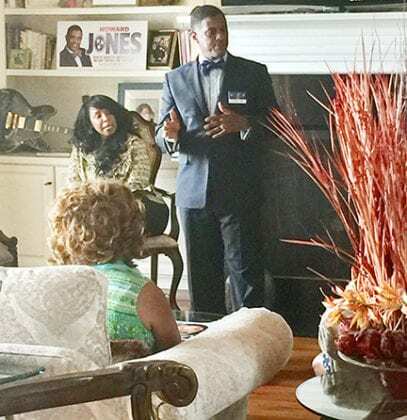 Candidate Jones pays attention to interested voter while Linda Harper listens attentively.